The Transportation Security Administration (TSA) is issuing a Request for Information (RFI) pursuant to Federal Acquisition Regulations (FAR) Part 10, Market Research. No solicitation is available at this time. TSA is issuing this RFI for planning purposes only and does not constitute a commitment by the Government. Transportation Security Administration (TSA) Office of Training and Workforce Engagement (OTWE) is conducting market research for the purposes of identifying businesses who have demonstrated highly specialized or advanced capabilities in Specialized Security or Technical Training, X-Ray Training Simulation, Curriculum Development, Training kits, and Computer based training programs for threat image interpretation. The Contractor must create, provide, and deliver training kits, physical training aids, and specialized materials to enhance a Transportation Security Officer‘s (TSO) skills and abilities to identify threat items, including Improvised Explosive Device (IED) and its components, explosives, and weapons. The Aviation and Transportation Security Act (ATSA, Public Law 107-71) requires TSA to develop, implement, and manage training programs for their transportation security workforce. The mission of the Specialized Security Training (SST) program is to ensure continuation of vital training services needed by TSA to support initial and recurring specialized security training and to respond in a timely manner to security training needs related to emerging technologies and new threats. TSA’s workforce is geographically dispersed at more than 450 airports and offices throughout the nation. The TSO population is hired through local processes at over 130 geographically dispersed hiring locations on a two-week hiring cycle. Approximately between 7,000 and 14,000 new TSOs are hired each year. Other key specialized training include: Regulatory Enforcement and Compliance, Explosives Specialists and Behavior Detection Officers. The SST program currently consists of: 1) developing curricula, training tools, and materials; 2) plans and schedules training courses; 3) delivers training through classroom led instruction, laboratories and other methods; and 4) conducts assessments and evaluations to determine the effectiveness of training programs and instructorperformance. Training categories include: passenger and baggage screening operations; explosive detection canine handler; regulatory enforcement and compliance; and, specialized technical training for explosives specialists and behavior detection officers. Additionally, the SST program provides logistics and training operational support for agency conducted and sponsored training, and is responsible for developing and fielding training related technologies and tools required to meet agency security trainingrequirements. Beyond meeting these minimum current operational requirements, the development and delivery of training provided by the SST program must be able to: 1) keep pace with a changing threat environment; 2) accommodate different student populations; 3) incorporate new screening tools, techniques and procedures that become available; and 4) provide additional training that may become necessary to support effective security operations across additional modes of transportation. 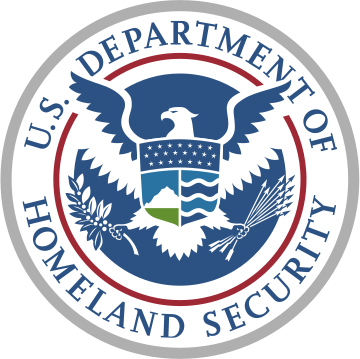 TSA is requesting information and conducting market research for the SST program through this RFI to identify and provide TSA with the latest available and emergingtraining methodologies and technology for training TSA employees, including Transportation Security Officers (TSOs), inspectors, and other security workforce for improved mission performance. Currently, security training is available mainly in a classroom setting or through a controlled computer environment. TSA is interested in innovative solutions for the entire SST program that will provide cost savings and location flexibility (e.g. usage of tablets, social media, cloud systems, e-learning classes, synchronous learning using conferencing software). • Developing and maintaining basic, advanced, and recurrent security training that enables the Transportation Security Officer and other members of the TSA workforce to perform their duties in executing the agency’s counterterrorism mission in the commercial aviation domain. • Training in procedures and technologies required for proper execution of defined TSA Procedures. • Develop and deliver technical training on emerging and next generation screening technologies (Analogic XLB, L3 SX, Reveal CT-80 DR), including easily scalable robust simulator platform(s). This function includes technology simulators; computer based training programs for image interpretation. • Develop and deliver training kits, physical training aids and specialized materials to enhance a security officer’s skills and abilities to identify threat items, IED and components, explosives, and weapons. Examples of training kits include Bomb Kits, Improvised Explosive Device Kits, Liquid Explosives Kits, Metal Detector Kits, Generic Weapons Kits, and Advanced Imaging Technology Kits. • Provide innovative technology for image capture and image simulation (e.g. client server configuration, dual monitor hardware configuration, variable opacity for all image analysis views). • Provide and identify efficiencies for over-arching program management and integration across all requirements. • Provide and identify efficiencies for providing timely logistical support for training classes, shipping of training aids and materials, and facility management. TSA invites vendors to provide capability statements or white papers with information on highly specialized or advanced capabilities of technologies and current industry solutions for the SST program. The following sections provide a recommended outline for a response to this RFI. This outline is intended to minimize the effort of the respondent and structure the responses for ease of analysis by the Government. A. Company Name, Cage Code, TIN, DUNs. Please affirm that your company is registered or is willing to register with the System for Award Management. C. Please provide any other Government or Commercial contracts held for this type of effort and which are of a similar scope and complexity. Please specify the Total Dollar value and if you were the Prime or a Subcontractor. 2. A Capability Statement that describes how your company will meet the requirements and objectives as stated in this RFI Notice, and how your firm demonstrates highly specialized or advanced capabilities in Specialized Security or Technical Training, X-Ray Training Simulation, Curriculum Development, Training kits, and Computer basedtraining programs for threat image interpretation. a) Whether the solution is proprietary, commercially available (licensed), or Government owned. The TSA may, at the agency’s sole discretion, hold a technical information exchange meeting with respondent(s) after reviewing vendor responses. The intent of this meeting is a focus on industry experiences related to a solution development/design – including processes and methodologies, technical solutions, best practices and lessons learned, associated cost, risks, and programmatic benefits. As part of the technical information exchange meeting, The TSA may, at the agency’s sole discretion, request a demonstration, or additional information related to, a vendor’s submission. This demonstration may be a short demonstration at the vendor’s facility, an extended demonstration at the TSA offices and/or airport. TSA may require the vendor to enter into a bailment agreement, at no cost to the Government, prior to a demonstration. If the TSA elects to hold a technical information exchange meeting(s) with respondent(s), TSA will notify the respondent(s) directly, but no additional information is planned to be posted on the GPE about the meeting, or this RFI Notice. The Government will review vendor responses for market research purposes only. The Government does not intend to provide a response to white papers submitted for this RFI, but based on vendor submissions; the Government may potentially request a technical information exchange meeting, demonstration, and/or pilot of proposed solutions to further future requirements definition. Responses to the RFI will not be returned, and will become property of the Government. Please be notified that may have its current associate contractor(s) assist in reviewing industry information provided in response to this market research request. This RFI does not represent an official Acquisition Plan, nor does it commit the U.S. Government to any course of action in the future. This RFI is intended solely for market research, planning, and information purposes and is not to be construed as a commitment by the Government to enter into a contractual agreement, nor will the Government pay for information solicited or provided hereunder. Each respondent, by submitting a response to this RFI, agrees that any cost incurred by it in responding to this request or in support of activities associated with this RFI shall be the sole responsibility of respondent. The Government shall incur no obligations or liabilities whatsoever, to anyone, for any costs or expenses incurred by the respondent in responding to this RFI. Written Responses shall be prepared using “Times New Roman” 12 point font, 1 inch margins, and 8.5″ by 11″ paper. Tables and illustrations may use a reduced font style not less than 10 point. All material submitted must be single-spaced. Electronic responses to this market research request are encouraged. Responses are limited to 8MB and no more than 10 pages in size. Responses shall not exceed ten (10) pages in length, including all images, data displays, charts graphs and tables. The submission of standard marketing material is acceptable but will be considered in the page length. Electronic responses are encouraged using WinZip software. All submissions shall include the title, “Specialized Security Training – Request for Information Response” in the subject line of the e-mail. The WinZip password shall be submitted under a separate e-mail by the aforementioned date and time. Please note: there is not a character length or mixed case requirement imposed on your password. Responses will be accepted on a rolling basis, with the first cut-off for responses to be submitted no later than 2:00 pm ET on Thursday November 14, 2013, and the second cut-off for responses to be submitted no later than 2:00 pm ET on Tuesday November 26, 2013. Any responses submitted after the first or second response date/time may be considered on a bi-annual basis, time permitting, or at the Government’s discretion. Respondents must submit their information to Melisa Hoffman at Melisa.Hoffman@ole.tsa.dhs.gov in either read-only Word or PDF format. Please contact Melisa Hoffman via e-mail (No telephone calls please), should you have any questions related to this RFI Notice. Answers to questions may be posted via FedBizOpps, and therefore, should not contain any information that a respondent would not want widely disseminated. 99 — Residency Management Suite License F2MTW83156A002 110513 Lois Ann Ward, Contract Specialist, Phone 210671-1747, Email lois.ward.1@us.af.mil – Stephen S. Kelly, Contracting Officer, Phone 210-671-9916, Fax 210-671-0674, Email stephen.kelly.1@us.af.mil This is a Sources Sought Notice (not a pre-solicitation notice pursuant to FAR Part 5) to identify sources as described in this notice. The government is seeking sources capable of providing a contract for Residency Management Suite License 3H5729 Renewal, a web-based database. This requirement will be for one (1) Base Year and two (2) Option Years. The San Antonio Uniformed Services Health EducationConsortium (SAUSHEC) is the sponsoring institution for 29 residencies and fellowships under the Accrediting Council of Graduate Medical Education (ACGME). The renewal of this subscription is of the utmost importance to allow for continued interaction between Wilford Hall Ambulatory Surgical Center (WHASC), San Antonio Military Medical Center (SAMMC), and medical facilities throughout the country used to train SAUSHEC physicians. The contractor shall provide a suite of applications for managing postgraduate medical training, including tools for scheduling, evaluations, tracking duty time, case logs, conferences, and many other important aspects of program maintenance to include data storage. Contractor shall provide (1) Support: Provide responsive consistent care and first rate technical assistance to the database via phone, email and online video tutorials and documentation; (2) Service: Maintain expert knowledge in database programming and testing to keep pace with the latest advances in information technology and provide clients with the best tools on the market; and (3) Security: Ensure data integrity and security through fully encrypted database structures, VeriSign Secure SSL and Enterprise Level Intrusion Protection. This survey is to determine the capability of potential sources and the availability of commercial sources and services pursuant to FAR Part 10. This notice is for informational purposes only and does not constitute an Invitation for Bid or Request for Proposal, and is not considered to be a commitment by the Government. The Government will not reimburse contractors for any cost incurred for their participation in this survey. Large and small businessesare encouraged to participate in this survey. Interested sources capable of satisfying the requirement stated herein should submit responds electronically or in writing by 5 November 2013 to 802D CONS/LGCC, Attn: Lois Ward, 1655 Selfridge Ave., Bldg 5450, Lackland AFB, TX 78236-5253 or lois.ward.1@us.af.mil. Responses should contain Company Name, Cage Code, Address, Point of Contract, Phone Number, and E-Mail Address. All prospective offerors must be registered in the System for Award Management (SAM) Website with a Commercial and Government Entity Code (CAGE Code). 1. The proposal due date has now been extended from October 24, 2013 to November 8, 2013. *Zip Code is for UPS/FedEx & Courier services. Please use 20852 for US Postal Services. Note: Because Ardennes Building is a secure building, Offerors that send proposals by UPS, FedEx or other courier will have to call (301)443-6557 or (301)443-2329 from the first (1st) floor lobby to arrange for pick up. Please allow extra time for your proposal to be delivered to the Contracting Office. Failure to use the specified address or arrange for pick up in sufficient time could result in your propsal being delivered late. Due to the Government Shutdown, the subject solicitation is suspended (on hold) until further notice. For contractual questions regarding this amendment, please contact Michael Fischer at 301.443.0728. 1. The proposal due date has now been extended from November 8, 2013 to November 25, 2013. 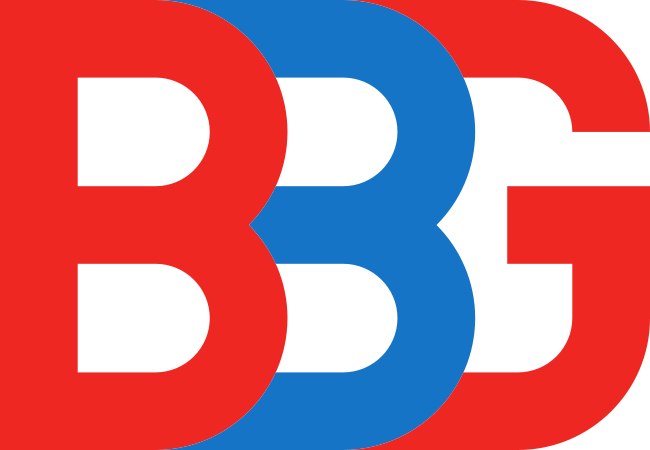 The U.S. Broadcasting Board of Governors (BBG), International Broadcasting Bureau’s (IBB), Office of Strategy and Development (OSD, Office Symbol: OSD), has a continuous need for international affiliate broadcasters and media outlets (broadcast stations, Internet news aggregators, mobile telephone operators, other outlets) capable of disseminating audio, video and text content produced by the following individual BBG entities: Voice of America (VOA), Radio Free Europe/Radio Liberty (RFE/RL), Office of Cuba Broadcasting (OCB) – Radio/TV Marti – Radio Free Asia (RFA), Middle East Radio Network (MERN) – Radio SAWA – and the Middle East Television Network (MTN) – Al Hurra. Below is a listing of the languages used by the individual BBG international broadcasters: VOA, RFE/RL, OCB, RFA, MERN, and MTN. VOA broadcasts in English and 43 other languages such as: Afan Oromo, Albanian, Amharic, Armenian, Azerbaijani, Bangla, Bosnian, Burmese, Cantonese, Creole, Croatian, Dari, French, Greek, Hausa, Indonesian, Khmer, Kirundi, Kinyarwanda, Korean, Kurdish, Lao, Macedonian, Mandarin, Ndebele, Pashto, Persian, Portuguese, Russian, Serbian, Shona, Somali, Spanish, Swahili, Thai, Tibetan, Tigrigna, Turkish, Ukrainian, Urdu, Uzbek and Vietnamese. RFE/RL broadcasts and/or provides news and information on the Internet in English and 27 languages: Dari, Pashto, Albanian, Bosnian, Croatian, Serbian, Macedonian, Avar, Chechen, Circassian, Armenian, Azeri, Belarusian, Georgian, Persian, Arabic, Kazakh, Kyrgyz, Romanian, Russian, Tajik, Tatar, Bashkir, Turkmen, Ukrainian and Uzbek. OCB broadcasts radio, television and Internet programming in Spanish. RFA broadcasts in Mandarin, Cantonese, Burmese, Korean, Lao, Khmer, Tibetan and Vietnamese. MERN broadcasts in Arabic. MTN broadcasts in Arabic. Interested sources are encouraged to submit a Capability Statement detailing their past experience in transmitting content of any kind, audience(s) reached with this content, primary content language(s), organization, point of contact, address, availability, if the interest involves any specific BBG entity, and any requirements for retransmitting BBG content. Please note that each Capability Statement will be evaluated against the criteria listed above. BBG may enter into an Affiliate Agreement with those sources whose broadcasting outlets have been selected to accomplish mission requirements and reserves the right to inspect the broadcasting facility. In addition, BBG will collect compliance information from all affiliate broadcasts, as well as Internet and mobile operations to insure that they fully satisfy the requirements of their affiliation agreements. Termination of an Agreement can be made in whole or in part by either party upon issuance of a written (30) day notice. Please submit your written Capability Statement to International Broadcasting Bureau, Office of Marketing and Program Placement, 330 Independence Avenue, SW, Suite 3666, Washington, DC 20237 USA; e-mail: dboynton@bbg.gov; Telephone Doug Boynton at: +1-202-203-4161; fax: +1-202-203-4185. Capability Statements will be received through December 31, 2013. All submission will be considered by the Agency. This Notice is not a RFQ, RFP, or IFB. R — Janitorial / Custodial Services for Air Traffic Control Tower (ATCT) located at the Peoria Regional Airport Terminal Building 5th and 6th Floor Peoria, IL 61607-1220. DTFACN-14-R-00023 103013 Diane Ayen, diane.ayen@faa.gov, Phone: 847-294-7321 Click here to email Diane Ayen The Federal Aviation Administration (FAA) has a requirement to provide Janitorial / Custodial Services for Air Traffic Control Tower (ATCT) located at the Peoria Regional Airport Terminal Building 5th and 6th Floor Peoria, IL 61607-1220. This procurement will be 100% set-aside for small business for NAICS code 561720. Contractors must have an active registration within a one hundred mile (100) radius of the (ATCT) Peoria Regional Airport Terminal Building 5th and 6th Floor Peoria, IL 61607-1220. (Map Quest will be the tool used to determine distance from contractors address to the Peoria, IL (ATCT), and be registered in the System Award for Management website at http://www.sam.gov at the time the offer is made. The performance period will be January 1, 2014 through September 30, 2014 with four (4) one year option periods. The estimated price range for this procurement initial year plus four (4) option year renewals is between $100,000.00 and $250,000.00. The Request for Proposal (RFP) will be issued approximately October 31, 2013. Contractors requesting a copy of this Request for Proposal (RFP) must meet the following criteria. Be a small business firm, need evidence of small business certification issued by the Small Business Administration (SBA) and have an active business address within a one hundred mile (100) radius of the (ATCT) Peoria Regional Airport Terminal Building 5th and 6th Floor Peoria, IL 61607-1220. (Map Quest will be the tool used to determine distance from contractors address to the Peoria Regional Airport, Peoria, IL (ATCT). All requests to receive a copy must be in writing via e-mail or fax to the Contracting Officer Diane Ayen. diane.ayen@faa.gov, at 847-294-7321, with the name of contact person, company name, mailing address, email address, telephone number, and the complete RFP number. Only contractors meeting the above mentioned criteria will be sent copies of this solicitation. The deadline for requests is October 30, 2013. 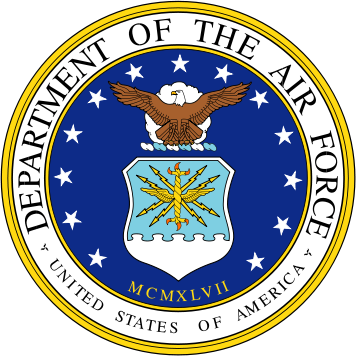 If you’re viewing this announcement from a source other than Federal Aviation Administration Contract Opportunities (FAACO), visithttps://faaco.faa.gov/index.cfm/announcement/view/15219 to view the original announcement. The Broadcast Board of Governors (BBG), Voice of America (VOA), Persian News Network (PNN) anticipates having a non-commercial requirement for a Contractor provided weekly entertainment show that appeals to Farsi-speaking youth. The Contractor shall be responsible for providing all necessary items (i.e., labor, supervision, facilities, equipment, insurance, materials, etc.) that are required for the production of a weekly entertainment show that must be aesthetically and musically appealing to VOA’s audiences in Iran. The Contractor shall include Hollywood news and information and other interesting aspects of life on the West Coast, of the United States. The contract will have a base period of performance starting from January 1, 2014 through June 30, 2014. The contract will be a firm fixed price (FFP) and include nine (9) six-month option periods. The exercise of all options will be at the discretion of the Government and subject to the availability of funding. 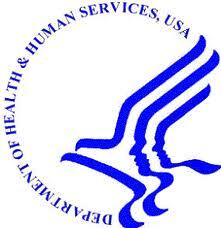 The solicitation is expected to be posted on the Federal Business Opportunities (FedBizOpps) website on or about November 7, 2013. The solicitation closing date will be 30 days from the date the solicitation is posted. No telephone requests for the solicitation will be accepted. Written questions concerning the solicitation may be sent by email to wgreene@bbg.gov. All responsible sources may submit an offer which shall be considered by the Agency. This is not an RFQ, IFB or RFP. 76–Civilian Enterprise (CE) Newspaper Publishing and Distribution of Gold Standard for Fort Knox Public Affairs Office, Fort Knox, Kentucky W9124D-13-R-0029 082213 Karen Keys, 502/624-6853 MICC Center – Fort Knox MICC – Fort Knox intends to issue a request for proposal (RFP) for publishing and distribution of quote mark Gold Standard quote mark . The contractor shall provide all necessary personnel, equipment, labor, supplies, tools, materials, supervision and other items necessary to print and distribute a weekly civilian enterprise newspaper for Fort Knox, Kentucky. The period of performance for the newspaper shall be during the period 1 October 2013 through 30 September 2014 with 5 one-year option periods. The government anticipates single award of a no cost type contract. This acquisition will be conducted using best value evaluation procedures and will require technical proposals and past performance and management factors. The acquisition will be solicited as unrestricted (full and open). NAICS is 511110. Size standard: 500 employees. All responsible sources may submit a proposal which will be considered. The solicitation (SF 1449) will be posted to the Federal Business Opportunities website (FedBizOpps) at http://www.fbo.gov. The solicitation may be downloaded from this website. Solicitation will be issued on or about 8 August 2013 with proposals due on or about 22 August 2013, 2:00 p.m. Fort Knox, KY, (Eastern) local time. Please note these dates are subject to change. All amendments to the solicitation will be likewise posted to this website. Contractors are cautioned to check this website for amendments. All offerors must be registered in System for Award Management (SAM) Environment (https://www.sam.gov) for ORCA data. Paper copies of the solicitation (SF 1449) will not be available. Solicitation must be downloaded at the above listed website. Offerors shall deliver in person or mail completed proposal packages to: MICC – Fort Knox, Attn: CCMI-CKX-KX, Bldg 1109B, Ste 256, 199 6th Ave, Fort Knox, KY 40121-5720. Fax or late proposals WILL NOT be accepted. All offers shall be submitted no later than the date and time specified for receipt (see Block 8 on the SF 1449 or the latest issued amendment). Elizabethtown, KY 42701-2455 The contractor shall provide the newspaper quote mark Gold Standard quote mark a civilian enterprise (CE) publication for 17,200 copies on a weekly basis to distribution points on the installation and other designated locations at (no cost to the Government) during the period of 1 October 2013 through 30 September 2014 with five one-year option periods. 99 — Sale of Scrap Rail Road Railing/Tracks QRP14-0011z 110813 Daniel Pearman, QRP Manager, Phone 5026245673, Fax 5026245672, Email daniel.g.pearman.naf@mail.mil – Sandra McGhee, Operations Clerk, Phone (502)624-5026, Fax (502)624-5672 , Email sandra.m.mcghee2.naf@mail.mil The Fort Knox Qualified Recycle Program is issuing an invitation for a non-exclusive one time sale of Scrap Rail Road Railing/Tracks. Please open the required attached document on this posting for sale solicitation/agreement. Enter bid price, initial each page, sign and fill out all required information. Please call the Fort Knox Recycle Center for any questions. All bids are welcome. The Contract performance of this agreement is 309 Frazier Road, Fort Knox, KY 40121. 502-624-5026. R – KAPT DIRECTORS AND OFFICERS LIABILITY INSURANCE RFB : 140000034 SOL KAPT DIRECTORS AND OFFICERS LIABILITY INSURANCE RFB : 1400000340 Office Of The Controller Michael Gustafson Published On : 11/4/13 Amended On : Closing On : 11/21/13 1:30 PM EST For more information about this opportunity please contact the buyer directly. 99 – Long Run Park Pavilion SOL RCSB-3048-0-2014/TN Long Run Park Pavilion Due Date: 11/26/2013 3:00 PM Eastern Contact: Tracey Neathery For more information about this opportunity please contact the buyer directly. 99 – Responsive Design Web Template DevelopmentAttachment A Questions SOL UK-1312-14 Responsive Design Web Template DevelopmentAttachment A Questions & Answers Due Date: 11-19-13 For more information about this opportunity please contact the buyer directly. R – Legal Services – Hearing Officer RFP : 1400000086 Depar SOL Legal Services – Hearing Officer RFP : 1400000086 Department Of Juvenile Justice Legal Services Published On : 11/1/13 Amended On : Closing On : 11/15/13 4:00 PM EST For more information about this opportunity please contact the buyer directly. R – Montana Film Office Marketing Services SOL RFP14-2656G The State of Montana, Department of Commerce, Montana Film Office is seeking a partner to provide multimedia and marketing support in the promotion of Montana as a viable and professional productions location for film, television, and multimedia projects. Due Date: Fri, Jan 03, 2014 2:00 PM (local time) Contact: Jodi Gollehon (406) 444-7210 jgollehon@mt.gov For more information about this opportunity please contact the buyer directly. Matching Key Words: film? ; produc*; production? California – City of Los Angeles http://www.labavn.org/index.cfm?fuseaction=contract.contract_list City of Los Angeles; Purchasing Office, Room 100, City Hall South; 111 E. First St. Los Angeles, CA 90012-4170 Phone: 213-485.3677. R – 70663 – SERVICES TO CREATE DVD FROM SP VIDEO TAPE FORMAT SOL 70663 – SERVICES TO CREATE DVD FROM SP VIDEO TAPE FORMAT Due Date: 11/06/13 2:00 PM Contact: Dept:Department of Water and Power For more information about this opportunity please contact the buyer directly. R – Child Nutrition Consulting Firm RFP : 1400000088 Depart SOL Child Nutrition Consulting Firm RFP : 1400000088 Department Of Education Published On : 10/31/13 Amended On : Closing On : 11/14/13 4:00 PM EST For more information about this opportunity please contact the buyer directly. R – SERVICES TO CREATE DVD FROM SP VIDEO TAPE FORMAT SOL 70663 SERVICES TO CREATE DVD FROM SP VIDEO TAPE FORMAT Due Date: 11/06/2013 2:00:00 PM Address: 1 (213) 367-4731 Contact: BARBERO, MARLENE For more information about this opportunity please contact the buyer directly. 99 – Mobile Emergency Operation Center SOL IFB-3144-0-2014/KBM Mobile Emergency Operation Center Due Date: 11/11/2013 3:00 PM Eastern Contact: Kim Henry For more information about this opportunity please contact the buyer directly. R – White Nose Syndrome Rapid Response RFP : 1400000078 Ken SOL White Nose Syndrome Rapid Response RFP : 1400000078 Kentucky Fish And Wildlife Resources Published On : 10/28/13 Amended On : Closing On : 11/4/13 4:00 PM EST For more information about this opportunity please contact the buyer directly. R – Workers Compensation Third Party Administrator RFP : 1400000074 SOL Workers Compensation Third Party Administrator RFP : 1400000074 Transportation – Office Of The Secretary Laura Stephens Pro Services Published On : 10/23/13 Amended On : Closing On : 11/13/13 2:00 PM EST For more information about this opportunity please contact the buyer directly. Washington – City of Seattle http://www.seattle.gov/purchasing/ Seattle Municipal Tower, 700 5th Ave, Suite 4112, Seattle, WA 98104. Ph: (206) 684-0444. T – Television Video Production, Broadcast Equipment & Related Servi SOL Television Video Production, Broadcast Equipment & Related Services ITB-DIT-46 Due Date: Bid Due Date & Time: 11/19/13 at 2:00PM For more information about this opportunity please contact the buyer directly. R – RFP for Brokerage Services for HSTD Regions 9 & 11 RFP : 140000 SOL RFP for Brokerage Services for HSTD Regions 9 & 11 RFP : 1400000084 Office Of The Controller Donald Robinson Published On : 10/22/13 Amended On : Closing On : 12/19/13 3:30 PM EST For more information about this opportunity please contact the buyer directly. 99 – Responsive Design Web Template DevelopmentAttachment A SOL UK-1312-14 Responsive Design Web Template DevelopmentAttachment A Due Date: 11-19-13 For more information about this opportunity please contact the buyer directly.